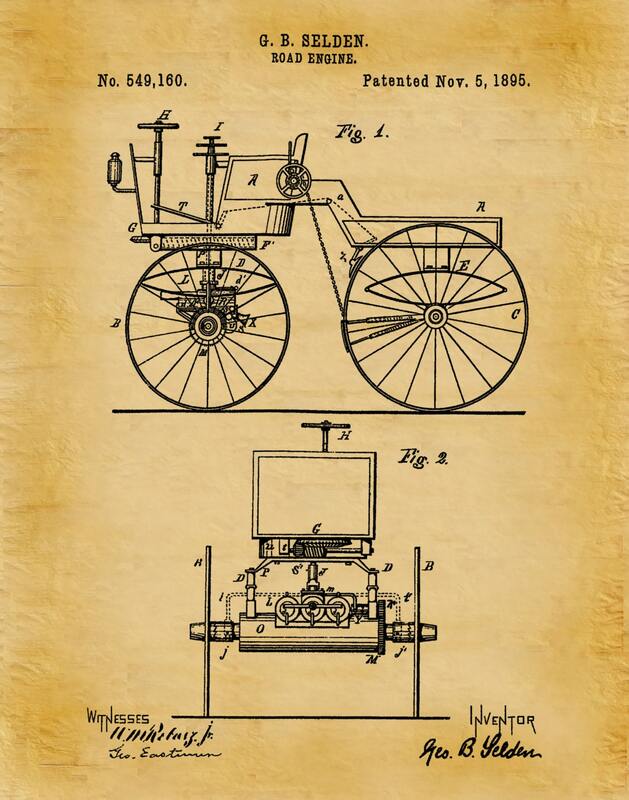 This patent represents a forgotten episode in the history of the automobile. 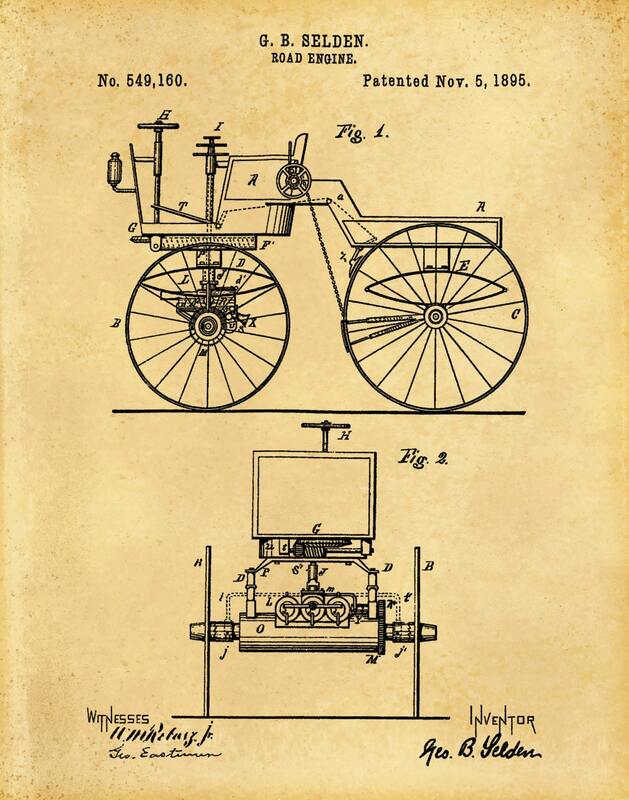 The question of who invented the motor car is an open one - Ford, Daimler, Duryea, Cugnot all lay claim to the title of "Father of the Automobile" - but you will seldom hear the name of patent attorney George Selden of Rochester, New York, mentioned. 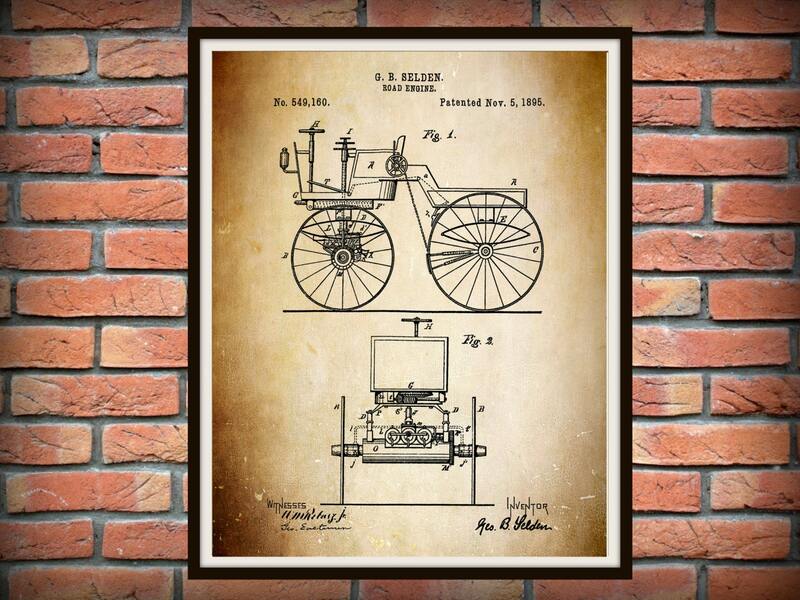 Selden applied for a patent on the "Road Engine" in 1879. 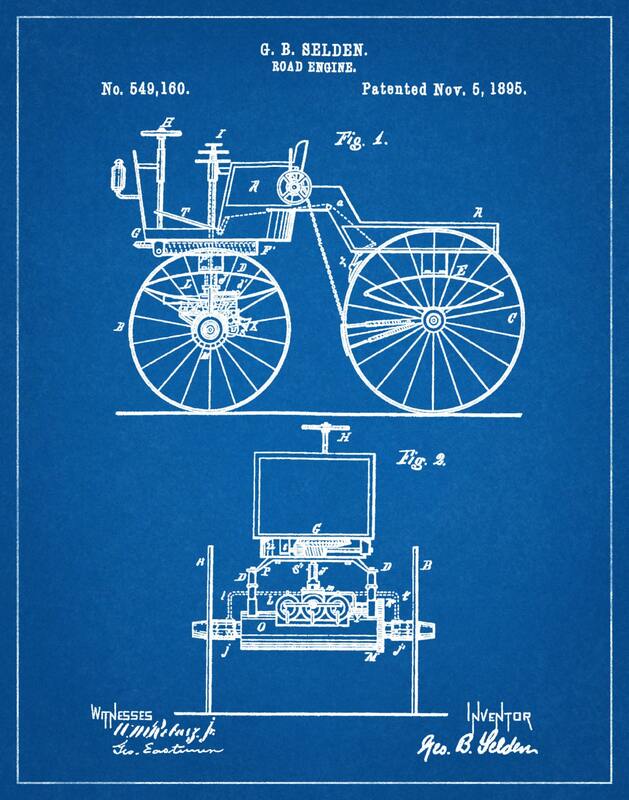 Sensing that the time was not right for a horseless carriage, he delayed issuance of the patent until 1895, by which time a young automobile industry was growing in the USA. Although he had no interest in manufacturing his invention, he was very interested in benefiting from it. 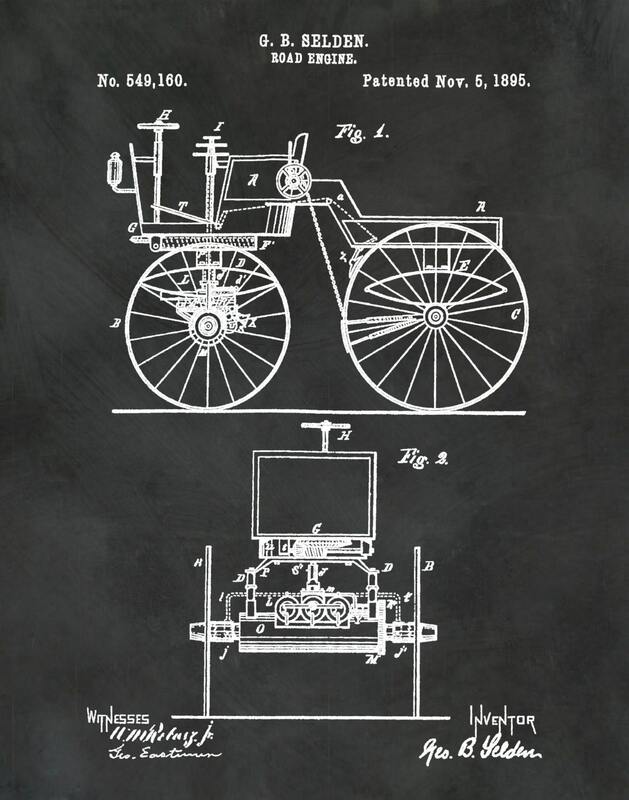 Under threat of suit, almost all of the manufacturers took out licenses from Selden, or from the Association of Licensed Automobile Manufacturers (ALAM), to whom he sold the patent. In fact, on most cars built during the next ten or fifteen years you will find a small brass plaque reading "Manufactured under Selden Patent."